Het in Israël gevestigde NGO-Monitor heeft informatie gekregen over een nieuw BDS-initiatief van Amnesty International. Dit initiatief zal één dezer dagen worden gelanceerd. Voortgeborduurd op een antisemitische campagne van Human Rights Watch en andere NGO’s, zal Amnesty zich met deze BDS-campagne specifiek richten op Airbnb, Booking.com, Expedia en Trip Advisor. 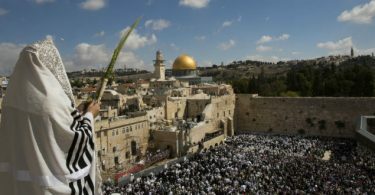 Deze organisatie bieden reizen, vliegtickets, hotelovernachtingen en andere toeristische producten aan in Israël. Uit documenten in handen van NGO Monitor blijkt dat Amnesty International zijn publicatie grotendeels baseert op tendentieuze claims van lokale NGO’s. Amnesty’s aanvallen op de Bijbel en de Joodse geschiedenis kunnen niet los worden gezien van uitgebreide en diepgewortelde Jodenhaat bij medewerkers van deze mensenrechtenorganisatie. In plaats van antisemitisme te erkennen als een probleem dat alle aandacht verdient, draagt Amnesty international bij aan Jodenhaat door zich specifiek te richten op de Joodse Staat. 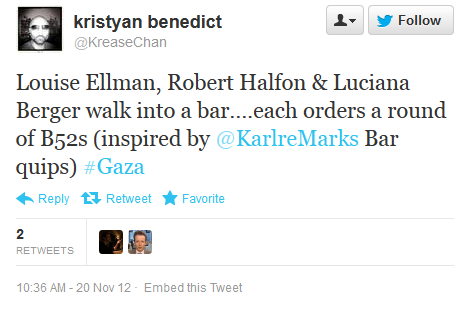 In November 2012, Benedict tweeted, “Louise Ellman, Robert Halfon & Luciana Berger walk into a bar…each orders a round of B52s… #Gaza” – labelling three Jewish MPs as warmongers. In November 2014, Benedict posted a tweet comparing Israel to the Islamic State, claiming that “Israeli regimes [sic] response to our Gaza report: Amnesty is ‘a propaganda tool for Hamas & other terror groups’ (#JSIL? ).” The Twitter tag “#JSIL” stands for “Jewish State in Levant” and is meant to compare Israel and Judaism with the international terrorist organization ISIL (ISIS), implying that Israel’s activities are tantamount to the mass public executions and beheadings performed by ISIL and that Judaism is equivalent to the extreme form of religion promoted by Islamic State. On April 6, 2012, Benedict tweeted, “‘What Must Be Said’, Günter Grass’s poem in English http://j.mp/HPzT4Y #israel #Iran #hypocrisy.” In the poem, Grass characterizes Israel as a threat to world peace. The poem generated considerable outrage, particularly in Israel and Germany, and was widely criticized as antisemitic. At least three officials of Amnesty International were members of the virulently antisemitic Facebook group “Palestine Live,” including Alli McCracken (Advocacy Director for MENA at Amnesty International USA) and Alex Neve (Secretary General of Amnesty International Canada). David Birkett, who describes himself as a fundraiser for Amnesty International UK, shared highly antisemitic articles and statements, including Holocaust denial in the group and on his personal Facebook page. The journalist who exposed the Facebook group, David Collier, notes that one of the Admins tagged Amnesty International UK crisis response manager Kristyan Benedict (see above), suggesting that Benedict was once a member and/or is Facebook “friends” with a leader of this antisemitic group. In 2015, Amnesty co-sponsored a speaking tour in the United States for Bassem Tamimi. Tamimi was convicted in 2012 of encouraging Palestinian youths to throw stones at Israeli soldiers. His appearance in a third-grade classroom sparked outrage, and the school’s superintendent denounced the remarks as “inflammatory.” Tamimi has, in addition to inciting violence, expressed support for antisemitic sentiments including the claim that Israelis detain Palestinian children to harvest their organs and that the Zionists control the media. Amnesty has done little to no campaigning on the rising number of violent antisemitic incidents in the US and Europe. In April 2015, Amnesty-UK rejected an initiative to “Campaign against anti-Semitism in the UK,” as well as “Lobby the UK Government to tackle the rise in anti-Semitic attacks in Britain” and “monitor anti-semitism closely”- the only proposed resolution at the Annual General Meeting that was not adopted. When Amnesty conducted “an unprecedented large scale analysis of abuse against women on Twitter” (2018), the research included sexism and racism against female journalists and politicians, but not antisemitism. The UK Jewish community condemned this exclusion. 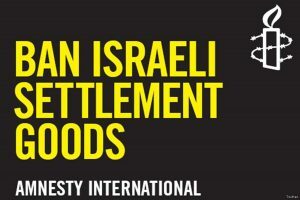 Amnesty International is among the leaders of the BDS campaigns targeting Israel. No other country in a conflict zone is the focus of similar Amnesty boycott efforts. Amnesty was centrally involved in the antisemitic 2001 Durban NGO Forum, where the BDS campaign was launched. 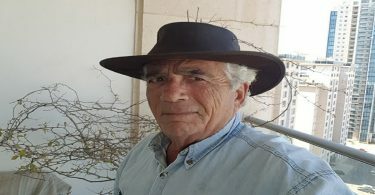 Publications such as the Protocols of the Elders of Zion were distributed, Jewish and Israeli speakers were silenced and bullied, and boycott and demonization campaigns were launched. In 2017, Amnesty launched a campaign (“50 Years of Dispossession”) calling on governments to “ban Israeli settlement goods from entering your markets, and to stop companies based in your country operating in settlements or trading in their goods – and help put an end to the cycle of violations suffered by Palestinians living under Israel’s occupation.” This language mirrors that used in preparing the discriminatory UNHCR blacklist, indicating the close cooperation with the UN.